Every season of The Voice just seems to get better and better. When it comes to really knowing how to use a microphone for singing these guys are the gold standard. It may be a contest but there are always some real gold nuggets of advice and knowledge that each of the judges drop that you can apply to yourself. I know, if you’re like me, you get caught up in Adam and Blakes antics each show, but they really know what they are doing when it comes to using the pipes. 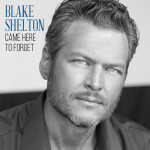 Here are a few songs and thoughts about Christina, Pharrell, Adam and Blake that you may not be familiar with. Each one of them has some real special “sauce” that you can listen to time and time again and always find something fresh. Born in Oklahoma Blake really is one of the good ol’ boys. Storming onto the country music scene with his debut single “Austin”, from the album of the same name, he spent 5 weeks atop the charts. Not a bad intro to music stardom! Over the years with 6 multi-platinum albums under his belt Mr. Shelton is definitely a force to be reckoned with. Some other great tracks to check out to really get a feel for his super-star style. “Sangria”, “Gonna”, “The Boys ‘Round Here”, “Honey Bee”, “God Gave Me You”. With a slew of platinum records and a few singles and guest appearances Adam just keeps the hit train running. Here are a few of the hot tracks that Adam and his crew have ridden to the top of the charts on more than one occasion. 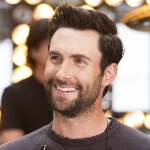 “Sugar”, “She Will Be Loved”, “Animals”, “Maps”, and with fellow Voice co-host Christina Aguilera “Moves Like Jagger”. Even though she is “on-again/off-again” in her judges chair, I consider Christina to be the perfect female Voice coach. From her debut in 1999 “Genie in a Bottle” to dating all the way back to the early 1990’s on the “Mickey Mouse Club” she was born to entertain. A power-house vocalist that is one of the best in the whole wide world she is a joy to just sit back and listen to. Mr. Williams adds such an amazing dynamic to the Voice. Even the other judges are completely in awe of him. His ego is non-existant and you can see that he treats everyone with respect and consideration. He is as fine a man as he is a producer. 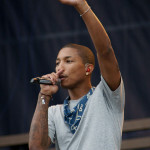 Here are a few of his tracks to get yourself in a “Happy-Pharrell” Mood. “Happy”, “Freedom”, “Come Get It Bae”, “Marlyin Monroe”. « What Type of Microphone is Best For Recording Vocals?